Handmade custom fishing lure bag, made in various sizes with marine vinyl and clear vinyl. Sizes start at 12 pocket. Bags can accommodate all size lures, from crank baits, spoons, jerk baits, spinner baits, even big muskie and pike lures. Shipping is available and payment by pay pal or e-transfer make ordering easy. 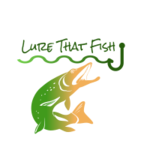 Call 519-281-2778 or email at [email protected] Check out are Facebook page at lurethatfish for details and descriptions of our products!! !